Here’s a short video showing some of the digital work I put into making Jack B: Ride the Air. Enjoy. Greg is working on some portraits in prep for kids comic con. Jack is always looking to the sky and beyond. It’s a black arts festival held in Pittsburgh every year. In a time long before there was even a New York Comic Convention (NYCC), I was a kid who didn’t read comics. Unlike most people I didn’t start my love for comic book characters by reading comics. I started out with watching cartoons about comic book characters. 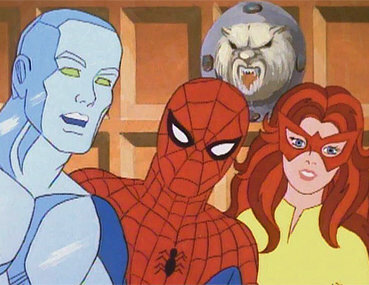 Old school spider-man and friends was one of my favorites. “Mommy. Mommy I want to be like spider-man. I want to swing from building to building helping people.” My mom would smile knowing that at least I had good intentions. The one thing I can’t help but see now as an adult is that all of my superheroes that I loved were really just white guys who stumbled upon a power. It’s not a big deal. In comics, that’s just how it happens. But then I started collecting Marvel Cards. I had entire boxsets and at one point could name every character in the marvel universe (at least as it existed in the 90s). 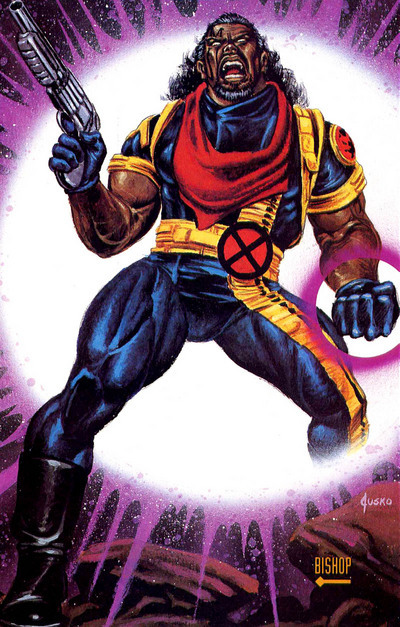 In collecting those cards I realized that I could count the ‘black’ heroes on 2 hands and not use all of my fingers to do it.I was 9 and it was at that point that I started to think how there were not many characters like me in the comics. Sure there were side characters (Immediately I think of Robbie Robinson and Bishop) but not many main characters. As I got older I kept reading comics from time to time. Pitt, Hulk, Maxx, X-Men, Silver Surfer, Ghost Rider, Spiderman, were among the hallmarks of my adolescent years and provided a foundation for my drawing abilities as well as boosted my reading capabilities. All this is to say somewhere along the line the decision was made to make characters that reflected what I knew best…the people I grew up with and their attitudes (or lack there of). People reflective of my environment would be imbued into every character I draw, ink, and paint. 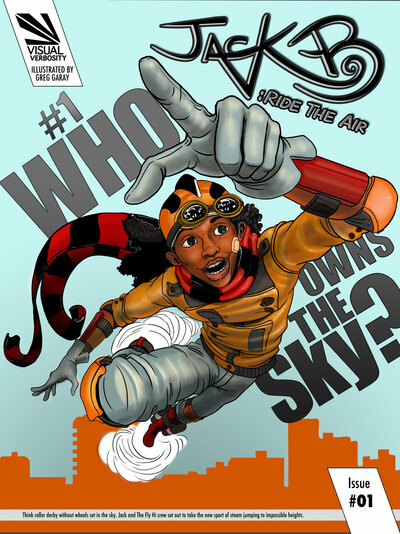 New York being the cultural (and sub cultural) melting pot that it is, has created the perfect breeding ground for my kid friendly comic Jack B: Ride the Air. But that comes with a grain of salt. All creative types create things for reasons that have very little to do with money. We all need to create and whether you buy it or not is crucial to our stability but not to our artistic fervor. But making comics is an industry and you have to sell in order to keep going. For some reason once a black character is made the lead role , the comic ends up collecting dust and not turning a profit. Wait wait wait…I’m confused. Hip hop owns the billboard charts. Black people are getting larger roles in non “black” movies. 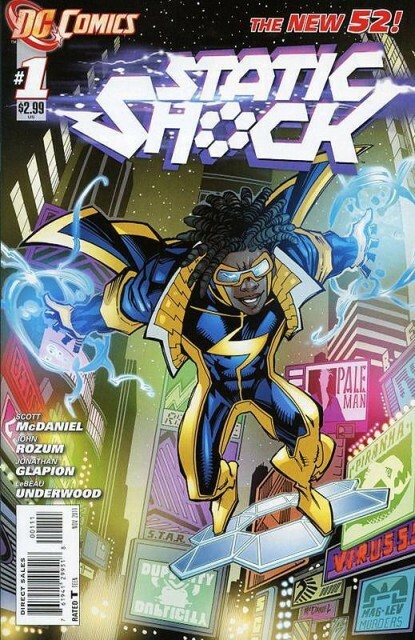 Why wouldn’t black comics sell? Then I read an article on deviant art about why black comics don’t sell. I began to rage read (as Matt Bors put it) everything I could about why they don’t sell. The biggest item that stood out to me was that the populous et mass does not view people of color as relatable to the larger public. Apparently we are not humans who experience the same experiences that everyone else does. I never intended Jack B: Ride The Air to be considered a story specifically designed for the black/latino/asian/indian/etc etc community. It’s a story rooted in humanity and takes the perspective of a blactino boy as its lead. Race politics be damned. Jack is just a reflection of the environment I grew up in and the real life characters that inspired me from my neighborhoods and schools. We all have universal goals that we chase. Here is just a sample of the ideologies expressed in Jack B: Ride the Air. Being the Underdog | You’re at the bottom and you want to make it to the top but don’t know how. Hidden Talent | You have a talent that you didn’t realize was a talent. Indominable Will | Now you’re trying to push your limits and see how far that talent takes you. Haters | Others are putting you down because they don’t have what you have. Motivation | So you show them that they have their own talent that is unique to them. Everyone has experienced these situations in some way, shape , or form regardless of color, race, creed, nationality or sexuality. So if we can see the book for what it is then it becomes universal. At least that’s the theory. Before going to the New York Comic Convention (NYCC), I got a booth at the Pittsburgh Comic Con as a practice test to the test. We sold a few comics, did a few commissions and met some great artist who gave us a ton of advice and guidance. But something more special happened while at PGHCC…kids and teenagers (of various backgrounds) kept picking up my book and reading it. They were laughing and really relating to the story. I didn’t sell everything but in my mind I passed the true test. What does any of this have to do with the New York Comic Convention? 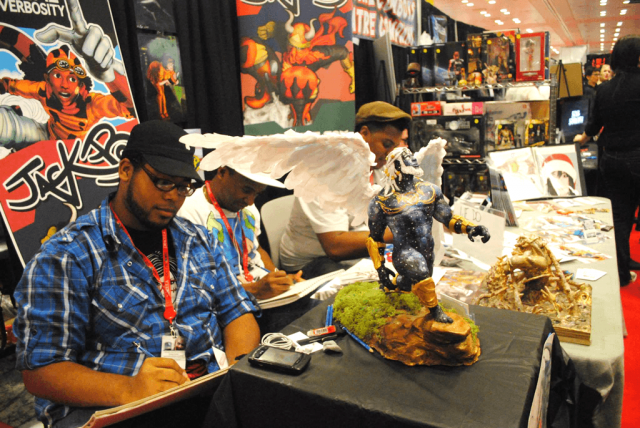 Easily considered the #2 convention next to San Diego, the New York Comic Convention is the top spot on the East Coast for creatives and fans to go to in October. I went the 1st two years that New York had its convention. 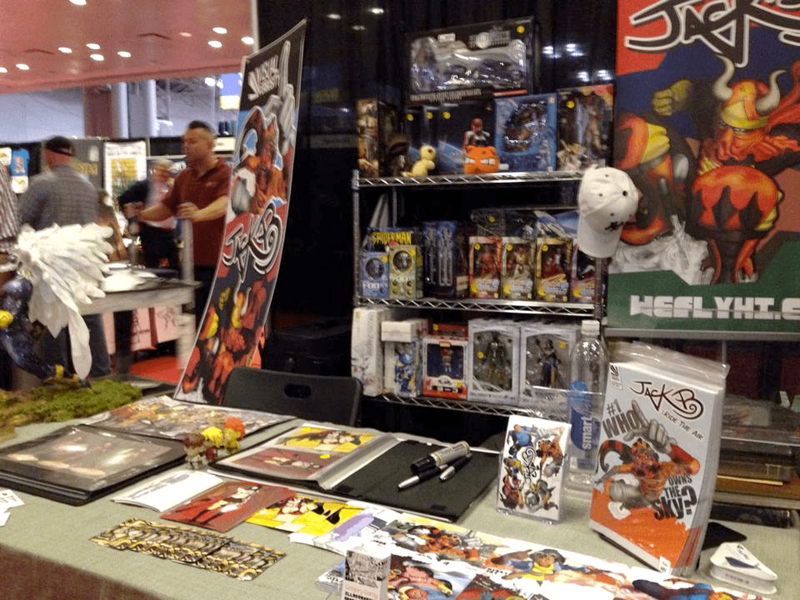 The I went 2 more times before deciding that I would get a table for NYCC 2013. The mindset was clear, I needed to see for myself if Jack B: Ride The Air was viable as a story and as a product. It’s not about what historically is “true” about the comic book industry but what I do now to change that. I was ready to take my city. I got a team together…Brian Cannady, Andrew Umana & Caleb Johnson. All three are from my college days. All are artist that specialize in different things. The plan was to exhibit our talents as individuals but rally as a group under each others work and goals. The table was designed to attract. Brian is a sculptor and acted as the pull for our table. You don’t normally see 14 inch x 14 inch x 14inch sculpture at a comic convention unless its a big vendor’s rare collectibles. Caleb brought some prints of his illustrations, I had my comic book and prints of fan art, and Andrew had collectibles he had gathered from private collectors for sale. 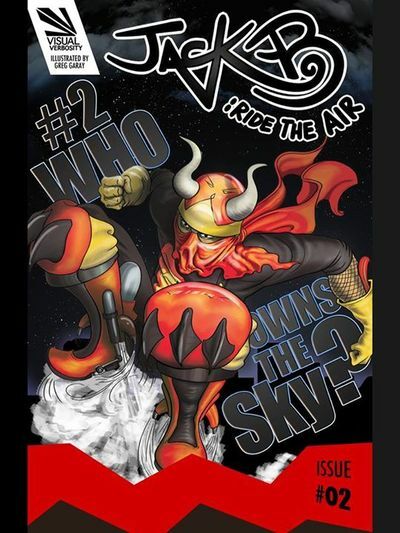 Again I had people reading the Jack B: Ride The Air comic and really enjoying it despite it’s brevity. It proved to me that we are onto something good here. We got a ton of support and even built some true fans in the process. The proof is better displayed in photos. Feel free to check out the facebook photo album from NYCC 2013. Also don’t forget to hit the like button on the Jack B: Ride the Air facebook page. The official Jack B: Ride the Air website is the place where you can dig further into the story and find clues as to where the story will go from here. The website serves as the culmination of a slow and steady work/process. I’m ready to to share this world that I’ve been making in my world maker machine (My laptop). This site is the home of Jack B but is not where all information can be found. Pay special attention to the social media as it gives you the insiders insight via sketches, studies and progress screenshots. Join the mailing list. I’ll be give you special information, keeps you up to date with the project’s whereabouts. Always feel free to send me messages, comments, give me props, check out my dayjob work, etc etc.